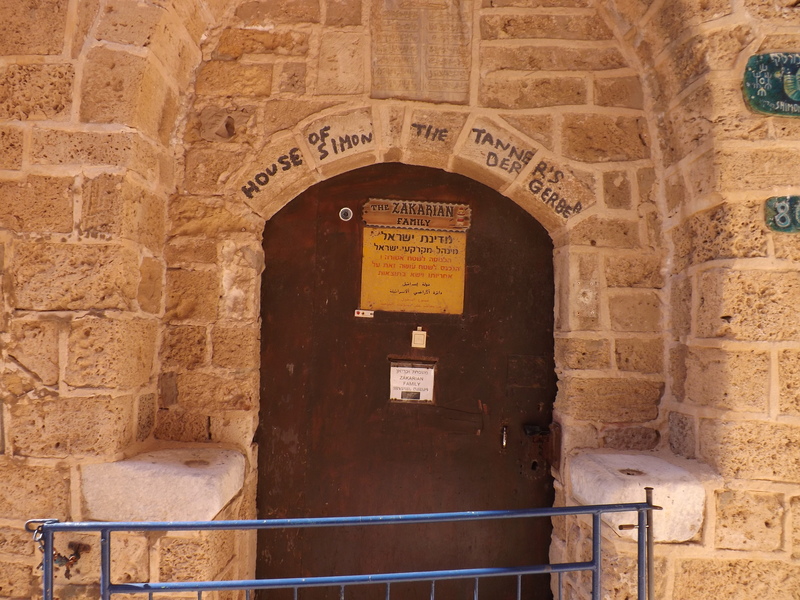 The first Biblical site we went to in Israel was the house of Simon the Tanner located in modern day Jaffa, also known in scripture as Joppa. Many of you may be wondering what happened there. Simon the Tanner opened his home to another man named Simon, Simon Peter. We find the story in Acts 10. The chapter begins by telling us about a Roman centurion called Cornelius who believed in the God of Israel. Cornelius lived in Caesarea and saw a vision of an angel of God instructing him to dispatch men to Joppa to find Simon Peter. The angel also told him Peter was staying with Simon the Tanner in Joppa whose house was by the sea. When the angel left him, Cornelius did what he had been told to do. The next day, while the dispatched men approached Joppa, Peter sat on the housetop waiting for dinner to be prepared. After the third time the sheet full of animals was taken back up to heaven. While Peter sat reflecting on the meaning of this, the men arrived at the gate and called out asking if Simon, who was also called Peter, was staying there. The Spirit told Peter three men were looking for him, and to go downstairs and accompany them without any misgiving. Peter obeyed even though this went against Jewish law. Jews were not to associate with gentiles or stay in the same house. Because of these two men’s obedience to God, Cornelius and people with him were saved and filled with the Holy Spirit. This was the beginning of the gospel being proclaimed to the world and not just to the Jews. Many of you may be hoping to adopt a child, but wondering if things will ever come together that will make it happen. In this story we see that God will bring together the correct people even if it takes giving two men visions to do so. Have faith in God. If it’s in his will, He will bring all things together.